no stretchy elastic, this needs a zipper. contained an entire baby (or three), we like. survive. And we are going to feel very clever after. Here's the printable instruction sheet. Lots of diagrams. For convenience, this will be a 6-panel skirt. Measure the waist and call it A. Add 1" for ease of movement. Measure the hip (widest part of lower body - not difficult to locate, sadly) and call it B. Add 2" for ease of movement. Measure the vertical distance between the waist and the hip. This is called the hip level, and we will abbreviate it to HL. Determine how long you want the skirt to be. Measure this from the waist and call it L.
Get a sheet of butcher paper or newspaper and fold it in half. Draw the pattern shown in the instruction sheet with the measurements you obtained in Steps 1-4. Extrapolate (i.e. continue drawing the rest of the trapezium shape) using a long ruler, from the hip measurement to the bottom of the pattern. This is your pattern! You drafted it! Brilliant person, you! You are now going to cut 6 panels from your fabric(s) using this pattern. Four of the panels will have seam allowances of 1/2" all around. Two of the panels (the back ones which are connected to the zipper) will have seam allowances of 1/2" for three sides, and 3/4" for the side that will have the zipper sewn to. Remember that these two panels will be mirror images of each other. Sew together the two back panels first (the ones which will have the zipper). Connect the zipper by whatever method you usually use to attach zippers. 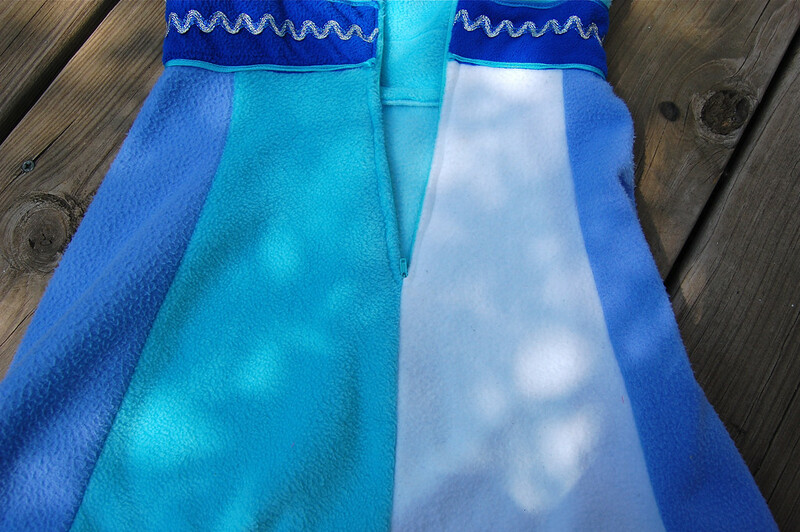 Sew the other four panels to these to form the skirt. Check the length of the skirt, trim the bottom hem if it is uneven or has pointy bits, and then sew the hem by whatever method you like (serge, topstitch, zigzag, free-fraying etc). Make the waistband, if this is a stand-alone skirt. The simplest waistband is just a single fold topstitched down. Or trim off the seam allowance and finish the waist with bias tape. Or sew a real waistband with interfacing. is frigid here) edges did not require finishing. and the clean, unbulky fit at her waist. *Oops. OK, maybe this one wasn't originally a summer skirt. work for the warm weather, see? Next: The circular skirt (and fractions thereof)! 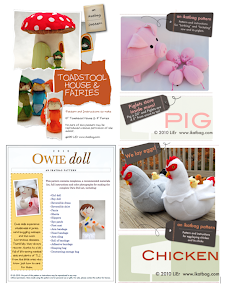 Quite a different style of making, and very, very easy. normally might not dabble with! 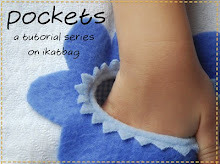 Great tutorial on a skirt that is (for me, at least) quite a bit harder to figure out than the gathered ones. Looking forward to your circular skirt tutorial, as that's one I haven't attempted outside of making doll skirts as a child. Thanks for posting this tutorial , L ! I've been looking for easy skirt tutorials to try out. 3 questions as I'm trying to picture the whole costume in my head...1. 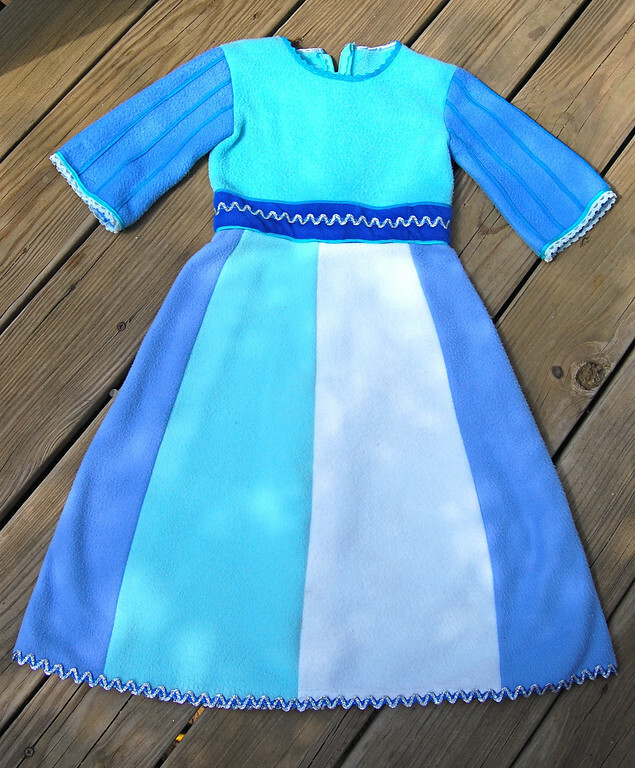 Did you connect the skirt to the bodice? 2. Is the belt detachable or sewn on? 3. And does the top have a back opening? 1 Yes. 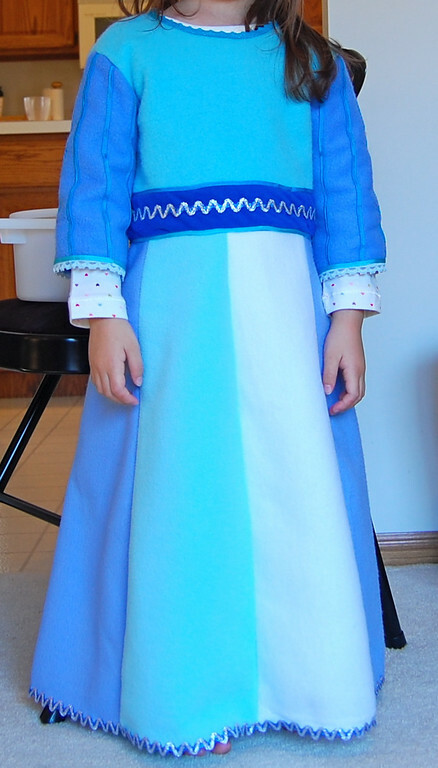 For the photo, I folded the bodice back under the skirt so as not to distract from the skirt itself. 2 Sewn on. If you leave the seam allowance on the right side of the garment after attaching skirt to bodice, you can use the belt to cover everything up and leave the inside (wrong side of the seam) smooth. 3 Yes. The zipper extends from the top of the neck through about 5" (approx) of the skirt. You need to have the zipper go all the way past the waistline in order for the hips to get in. This means joining the back seam of the skirt partway up and leaving about 5" unsewn. Then attach the bodice, lining up the back seams and leaving the whole zipper seam open. Then put in the zipper. I love your tutorials on dressmaking - I have a boy and do sew for him, but a boy's clothing options are rather restricted as you might imagine. I wish I had pretty girls like yours ! Your photos and descriptions are painstaking and very helpful. The pointy font you use in some posts , including this one, is slightly difficult to read, at least for four-eyed me. Keep up the good work ! COuldn't find your email add so I hope you're reading this comment here. No, your eyes are fine - the awful font was my fault. An earlier version of my web browser was inserting this font all by itself and I only knew it was happening when other readers wrote in to say they were going blind trying to read it. I've gone and fixed it in this post but every now and then a reader will find it in an archived post and let me know and then I'll go and manually fix it. Thanks for letting me know. Love this tutorial, and i must say your girl looked gorgeous in the whole outfit, love costumes that isnt like everyone elses!!!! I enjoyed the tutorial, thank you. Just wondering how come the panels are all the same instead of using waist-front-only and waist-back-only measurements. Would you have used those if it were just 4 panels instead of 6? @Anonymous Mainly because this is for a child, and partly because this skirt is not very fitting through the hip as compared with, say, an A-Line or pencil skirt. With all the added ease, the completed skirt is more like a partly-circular skirt, so it only needs to fit the body at the waist. Therefore you can use identical panels all around. If this were for an adult, with developed buttocks AND we were making a fitted paneled skirt, you would need back waist darts (and possibly front waist darts) and these would have to be drafted into the sides of the front and back panels, which yes, would be different from each other. 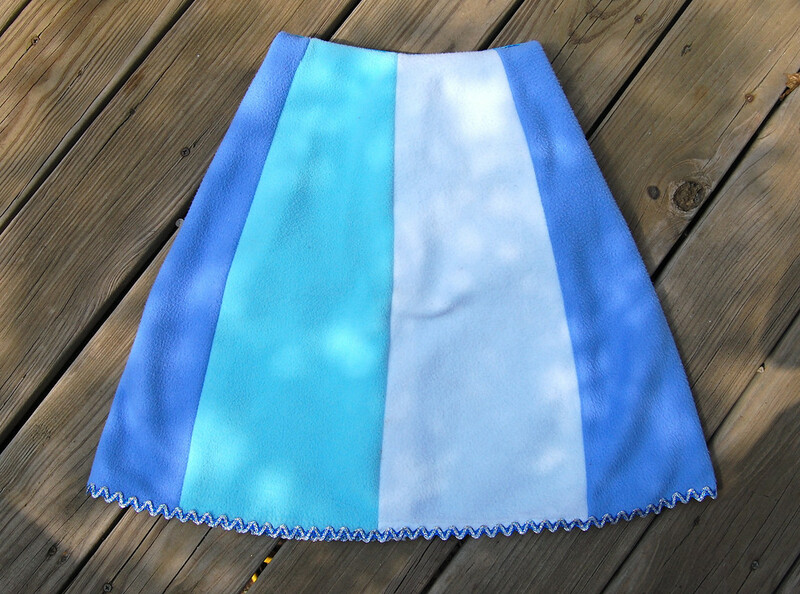 If I were making a 4-paneled skirt for a child and wanted it to be flare-y and twirly like this one, I would probably still cut 4 identical panels, depending on how full (or not) that child's figure is. 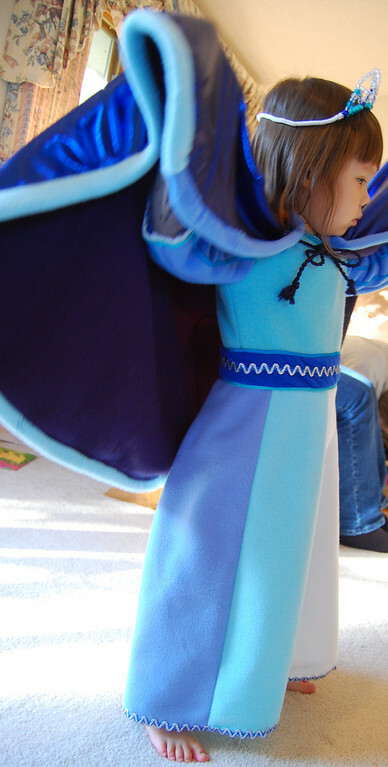 If the child's figure is very slim, without much curve to it, identical panels would probably work - I'd just shape the side seams (more or less slanted) of the panels to shape the waist. This is a great tutorial! 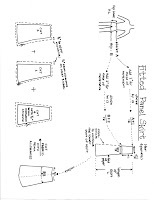 I'm a beginner when it comes to sewing so this is helpful but I would like to make an 8 panel skirt instead of 6. Are their any major changes that I need to make to your tutorial in order to accomplish this?